Howdy crafters! It's me, Sharm again! 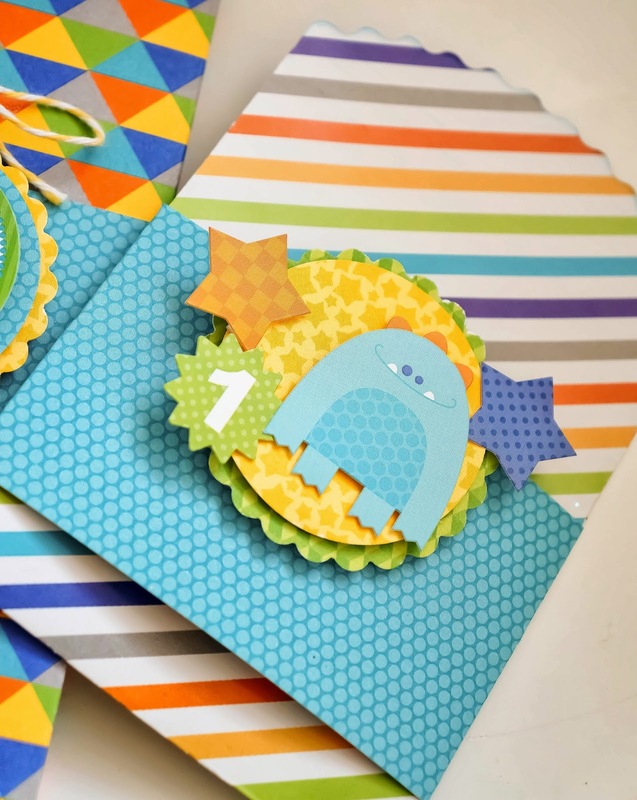 This time, I'm here to share some ideas on what you can use the awesome Hip Hip Hooray Collection by Doodlebug Designs for! I bet you're already blown away by some of the amazing projects the design team has painstakingly come up with so far. And here's another fun idea....Party Pack Ideas. Lots of us have a tough time putting together party favors.... more so when it's a boyish themed one. 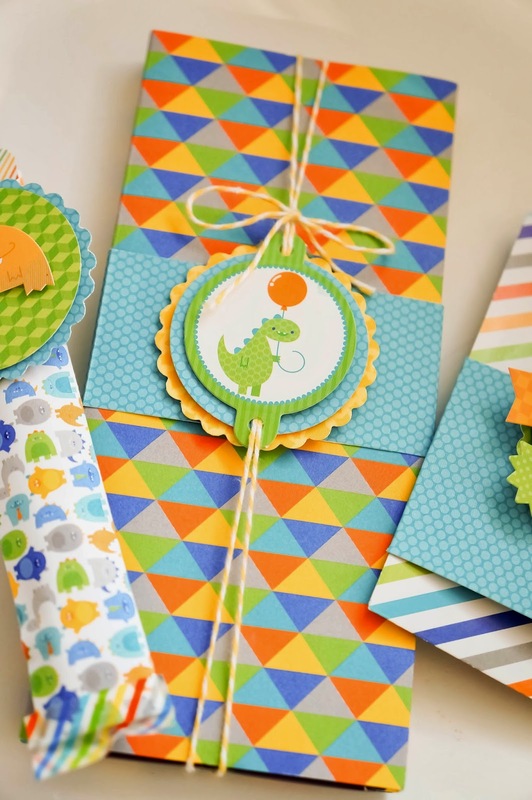 Doodlebug makes this a whole lot easier with the Hip Hip Hooray Collection. From adorable (yep, downright adorable) monsters to super cute dinosaurs and robots, I had a field day with this collection! Chocolate Wrapper: I wrapped up a huge bar of Hershey's with some lovely patterned paper and went around it with some twine and a cute dino from the Pixies of the same collection. Hope you'll have as much fun as I did creating with this collection! Feel free to visit my blog for other inspiring ideas. Shared on FB and pinned. These favours are SO COOL Sharm!!! 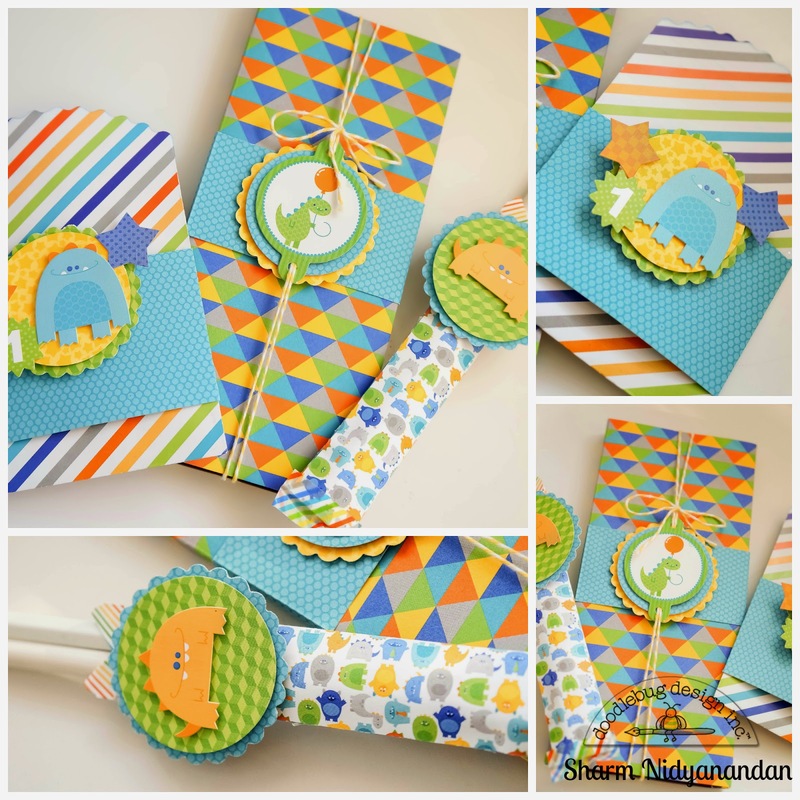 I pinned these adorable projects! The team at Party Favors does a really good job at providing the best favors for your event. I purchased favors for both of my kids birthday parties. I had peace of mind knowing that everything I wanted was under one roof and delivery was done in a timely manner. If I ever need any party favors again, this would be the company I would go to. Check em out at www.partyfavorsforeveryone.com or call them on 561-750-8380! Love the ideas! May need to do the chocolate bars at the next party! Oh, super cute party favors, love them. I love these party favors ideas! Chocolate wraper, pencil's holders are things that we really need for parties, they make great favors! This line is perfect for party favors! Very fun, love all these colors.